Four weeks ago the Planning Commission passed on to the Berkeley City a proposed Zoning Ordinance that would make the Post Office property less desirable to potential purchasers of the capitalist variety. We are still waiting for action on this from the City Council. 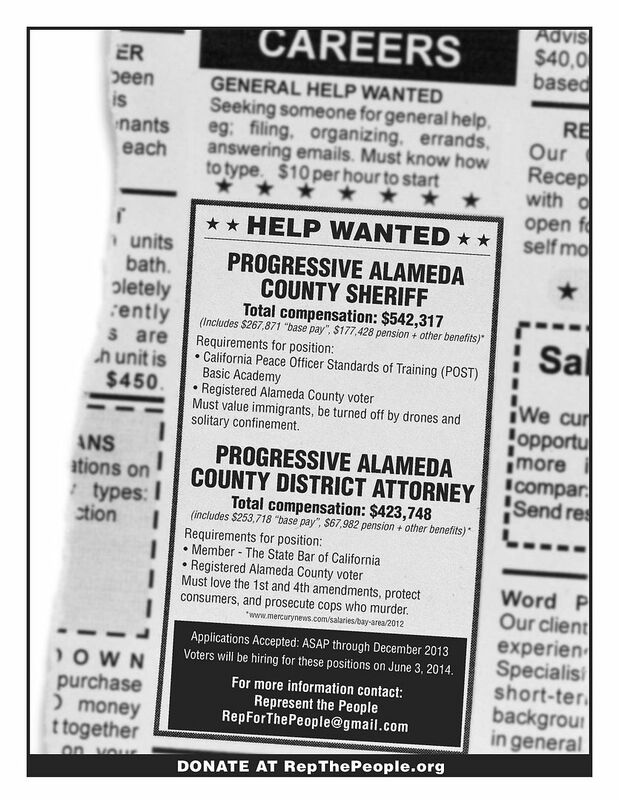 Come and help plan our next actions in defense of our Post Pffice and against privatization and non living-wage jobs. We want to send a message to CBRE, the Post Office, Staples and Berkeley politicians that the sale will not be tolerated! A continuing discussion on the state of our city. Presented by the Oakland Branch of the International Socialist Organization. At this meeting we’ll discuss how our side has begun to fight back, the challenges of activism in Oakland, and the possibilities for people to create an alternative Oakland build around our own needs and desires. Evictions and trashings of peoples’ belongings have already taken place today (Monday)! Meeting announcement Via Share the Bulb tweet Monday afternoon. Evictions and destruction of people’s belonging began yesterday, December 9th. This meetup announced via a tweet by ShareTheBulb yesterday (Monday) afternoon. On July 31st after midnight the Oakland City Council voted unanimously to approve allocating $2 million to continue to develop the Domain Awareness Center that would integrate surveillance cameras from all over the Port of Oakland, the city, BART, AC Transit, traffic cameras, and other sensors into a local ‘fusion’ center that could effectively track private citizens movements throughout the region. Video and data feeds from all over Oakland are to be aggregated and monitored at the DAC, then analysed with license plate recognition software, thermal imaging and body movement recognition software, possibly facial recognition software, and more, all with absolutely no privacy or data-retention policies in place, or substantive debate at the committee or council level about the program. November 20th, again after midnight, the City Council voted 6-1 to find a new contractor for the DAC after it came to light that the previous major contractor, SAIC, was involved in nuclear weapons development in contravention of Oakland’s nuclear free policy. The Oakland Privacy Working Group and others are continuing to organize against these encroachments upon our liberty and privacy. The meeting will be at the sudoroom, 2141 Broadway, but the entrance is actually on 22nd Street upstairs. Instead of a reading, we’ll discuss Bill Still’s award-winning full-length documentary video, “The Secret of Oz.” The video includes a review of monetary history so we can better understand solutions to today’s economic problems. It’s available free online, here. In addition, a lot of positive reviews are on Amazon. Through the end of January we will have General Assembly at the sudoroom on 2141 Broadway, Oakland, CA. This Sunday will be a Cryptoparty at the sudoroom, along with the third Sunday in January, these will be opportunities to update your digital profile so the government can’t easily track your every move. More blather on this to follow this afternoon when I have a moment. Our General Assembly is a participatory gathering of Oakland community members and beyond, where everyone who shows up is treated equally and has equal decision-making power. Occupy Oakland’s General Assembly uses a participatory decision-making process appropriately called, “Occupy Oakland’s Collective Decision-Making Process.” Our Assembly and the process we have collectively cultivated strives to reach agreement while building community. The bulk of the work of Occupy Oakland does NOT happen in the General Assembly. It happens in various committees, caucuses, and associated groups that report back to the general assembly. 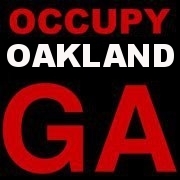 Everyone participating in Occupy Oakland should be part of at least one associated group. Occupy Oakland encourages autonomous actions that do not require consensus from the General Assembly. This encourages political activity that is decentralized and welcomes diverse voices and actions into the movement. 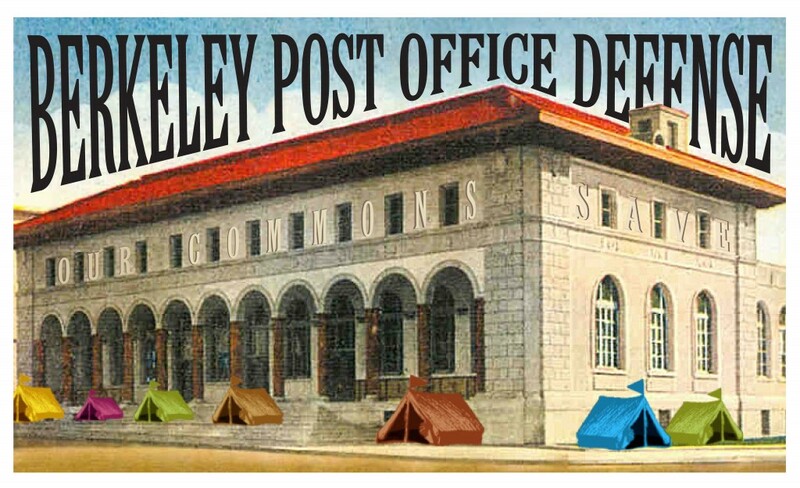 Five weeks ago the Planning Commission passed on to the Berkeley City a proposed Zoning Ordinance that would make the Post Office property less desirable to potential purchasers of the capitalist variety. We are still waiting for action on this from the City Council. Come and help plan our next actions in defense of our Post Office and against privatization and non living-wage jobs. 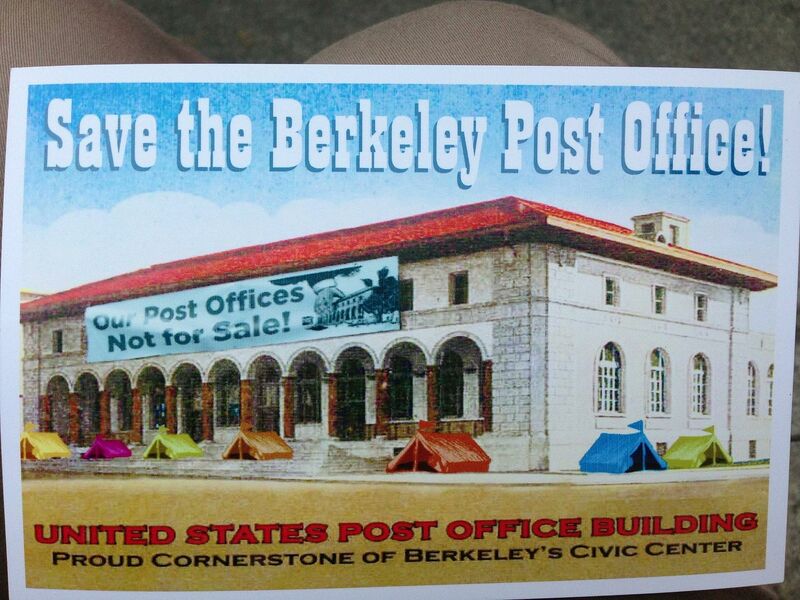 We want to send a message to CBRE, the Post Office, Staples and Berkeley politicians that the sale will not be tolerated! 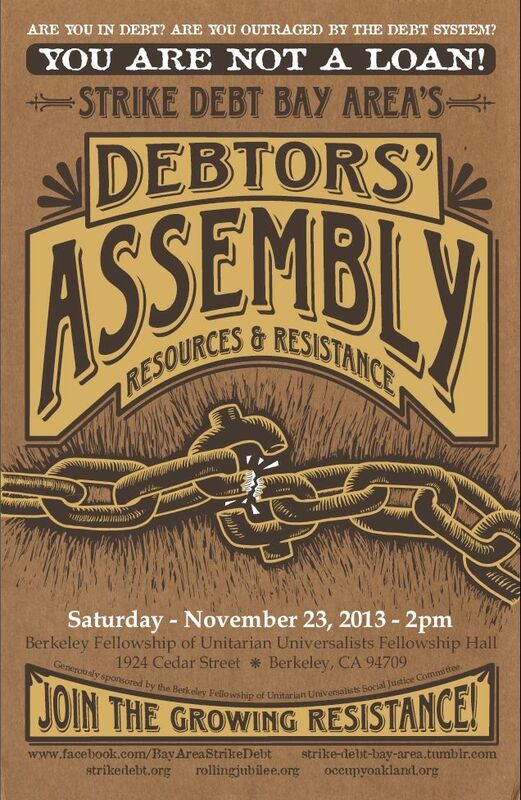 We will likely be planning an action at the Berkeley Staples for Saturday, Dec 21st. Come help up! We also might discuss plans for demonstrations at City Council member houses complete with camera props, maybe even a drone!